Iain Edward Hume, a Canadian Footballer was born on 30th October 1983 in Edinburgh, Scotland. He is a right footed player who plays a striker. He plays for Kerala Blasters in the Indian Super League. He is the leading goal scorer in the history of the Indian Super League. Hume began his professional career at Tranmere Rovers in 1999 season. He made his debut in April 2000 in a 3-1 loss to Swindon Town. He scored his first goal against Peterborough United in a 1-1 draw. He played at the club for 6 seasons and scored 32 goals. He then moved to Leicester City for a fee of 675K pounds. He played there for 3 seasons scoring 33 goals before moving to Barnsley FC for a reported fee of 1.62 million pounds. Hume could not play properly and scored just 9 goals in 3 seasons combined. During the 2010-11 season, Hume moved to Preston North End and in 2011 he made a permanent move to the club on a 3 year contract. He played there for 3 seasons before moving to Doncaster Rovers on a season long loan. He again moved to Fleetwood Town for the 2013-14 season. He was drafted by Kerala Blasters in the inaugural edition of the Indian Super League. 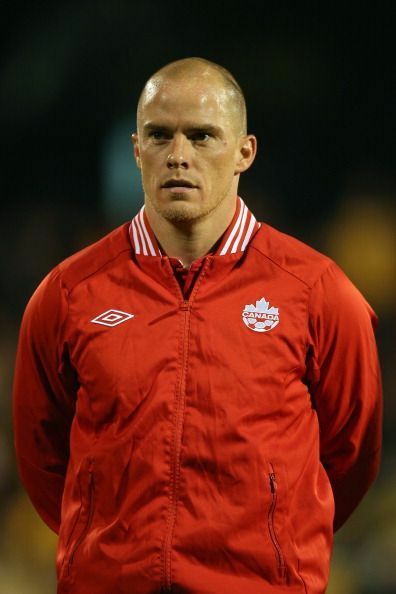 Hume made his debut for Canada National team in 2003 against Libya. He earlier refused to play for Scotland due to his love for Canada. Hume played for the Canada U20 team and was a crucial member during the 2001 FIFA World Youth Championship. Hume scored 3 goals in that tournament in which Canada ended in quarter finals. During the 2007 CONCACAF Gold Cup he played a great part during the semifinals match against USA where he scored a remarkable goal and helped clear a ball away during defense. He could take his National team to a long way and he also could not sign deal with any big club. Hume started his career for Tranmere Rovers in 1999 and played for 6 seasons before moving to Leicester City on a 3 year deal. He then moved to Barnsley FC for a fee of £1.62 million. He was drafted by Kerala Blasters team in the 2014 Indian Super League. He then joined Atletico de Kolkata in 2016 ISL and won the ISL with them. He returned back to Kerala Blasters in the 2017-18 season ISL. He is the leading goal scorer in the history of the ISL. He has a total of 28 goals to his name in the league.